There are three basic ways to play man-to-man defense, and a good player should be aware at all times of which he is playing and why. If the coach tells you to play a certain way, you play that way. But if he only tells you “man-to-man,” you need to be sure which of the three he wants. It is possible to introduce all sorts of other situations, like how far out to pick up your man, how aggressively to guard a potential shot, how much help to give your teammates or when to double-team. But all these things are decisions your coach will usually make for you or the game and circumstances will determine. A poor ball handler will be guarded more closely, a slow player will be guarded more closely and a great shooter will be guarded more closely when he is in shooting range. These are individual circumstances; let’s get back to the three basics of team defense. 1) Use total overplay pressure when you are behind and your chief enemy is the clock. If you are behind by three and there are ten minutes left, your chief enemy is not yet the clock. A lot will happen in ten minutes, and you can still win if you play good basketball. The clock is not a key factor. The clock is a key factor when you are behind by five with two minutes left. If you play normal defense, the other team is likely to stall and let the clock run out. You need the ball, and every pass they throw puts you closer to defeat. When you are behind and the clock is your chief enemy, you need to “get all over them.” Don’t let your man touch the ball. You must force your man to go backdoor or force a risky lob. Don’t be content to trail your man and allow perimeter passes to be thrown. All perimeter passes must be cut off. If your man catches a pass, it must be on the way to the basket, not on the outside. 2) The other extreme, passively playing between your man and the basket, you would expect to play when you are ahead and want to make sure you don’t foul or give a layup. Passive defense is easy enough to explain. You simply stay away from your man and force him to shoot from outside. Total pressure when you are behind, passive defense when you are ahead. This makes sense, but it isn’t the only way. Your coach may think it best to keep the pressure on when you are ahead, and stay in the defense that got you there. (If the other team is poor at ball-handling or slow, but very good at shooting, this would especially make sense.) In the same way, your coach may decide to stay in a passive defense when you are behind if the opponent has shown no inclination to hold the ball. 3) The defense between total overplay and passive is the give-’em-a- chance-to-make-a-mistake defense. This should be your most commonly used defense, or at least the one you use most often when you are practicing on your own in pickup games where no coach is demanding anything. Give-’em-a-chance-to-make-a-mistake means just that. Play close enough that they have to worry about you, close enough that passes are not easy to throw back and forth, close enough that a dribbler cannot simply stand there and bounce the ball or take the ball exactly where he wants to at the speed he wishes to go. If you are behind by one with three minutes left in the game, which defense would you play? Certainly not passive. And not total overplay (unless your coach thinks you are much quicker and can get away with it). The likely defense is the “mistake” pressure. Three minutes is a long time to hold the ball, especially with the pressure on, the crowd screaming and the clock winding down. There is a good chance that the team with the ball will walk or throw a bad pass or mishandle the ball if you give them the opportunity. You can’t sit back and play passively and merely deny the layup and hope for an error. You have to give them a chance to make the error. Without going wild or triple-teaming, it is very possible to force a mistake if you stay near your man and don’t allow anything to be done easily. Basketball players, in general, are quite willing to make a mistake, but not when you allow them to dribble unmolested and receive a pass anytime they break out for it. It is possible to guard against the layup or easy shot and still be applying enough pressure that the other team may turn the ball over. Make sure you understand the three types of defense, and especially know—if the other team is stalling at the end—whether you need to be in a total overplay (when your biggest enemy is the clock) or in a “mistake” pressure where there is still enough time to hope for a turnover or a missed shot. Finally, ask yourself what your normal pickup game defense is. Are you passive like the majority of defenders? Or do you always go for steals, sometimes getting them and other times giving up layups? Or are you a good player, always putting on enough pressure to give them a chance to make a mistake yet being very stingy about giving up easy shots? Momentum isn’t just someone’s fantasy or a figment of some play- by-play commentator’s imagination. Teams do tend to score points in clusters, when the fans get revved up and energy levels rise. Players’ emotions ebb and flow, and it is true that a player is more likely to hit a shot after his team has hit four in-a-row than when they’ve missed four in-a-row and they are falling behind. For this reason, it makes sense to respond to momentum. If your team is “hot,” go with it, keep the pressure on, keep shooting, let the game flow. But don’t let the game roll along when the other team is getting the best of the flow. A good rule of thumb: When the other team scores two consecutive baskets, slow down the game, throw more passes and keep them on defense longer until the momentum breaks. A running-gunning game may be your specialty, but if you’ve missed twice and the other team has scored, you need some change in the rhythm of the game. Changing a game’s adverse rhythm is important enough that you usually would even want to pass up an early open shot just to keep the other team on defense longer and make them earn all their points. Fans watch March Madness for lots of reasons, like big plays down the stretch, highlight film material, or to because they love a particular player or a team. But for the true student of the game, coach or player, the viewing experience is different. 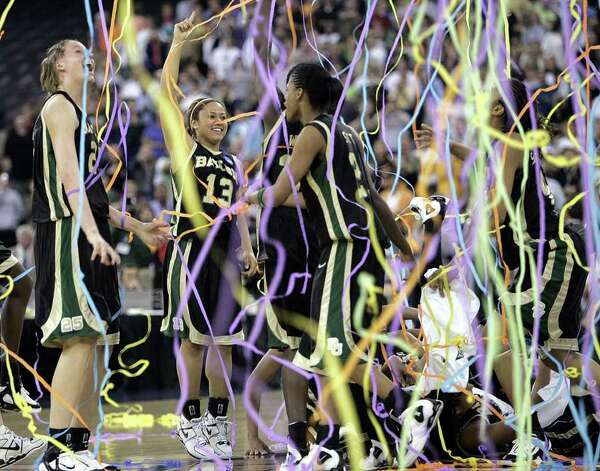 We watch for the “thousands of little things” (DeVenzio, 1983) that make up championship teams. We watch people like Zack Novak from Michigan look his teammates in the eye during a dead ball and say something meaningful to them. We watch Sydney Carter from Texas A&M get in someone’s bubble, force them to the manure strip and keep her palms up without reaching. We watch for the love of the game, but also to study it as we appreciate the finer points of the game that go unnoticed to average fans. Here’s a list of three things to watch for that is packed with links to expand on each concept. Shot Selection. Teams that love easy shots score more points, at the end of the game that’s all that counts on paper. Dena says, “If you boil winning and losing down to one thing it would be shot selection”. Good teams avoid first pass shots as a habit and they recognize that no shots are forced but rather chosen. Control. Watch for good point guards to display control by alternating the current and avoiding momentum dribbles. From staying poised in the paint to the balance of racing the basketball with control in high pressure situations, control is a crucial thing to watch for as teams separate themselves from the good, the great, and the best. Spirit. Championship teams have heart from the way they practice and transition from drill to drill to the way the respond to mistakes in games, you won’t see champion droop after mistakes. They are cheerful, engaged, and always encouraging. Their communication is alive with reminders and you see a lot of eye contact. This one is the most important and enjoyable things to watch for during March Madness. Don’t just watch, study, learn and enjoy the games for all they are worth!  And if you like thinking about the game like this then you would love spending some time with PGC Basketball at one of their summer sessions.